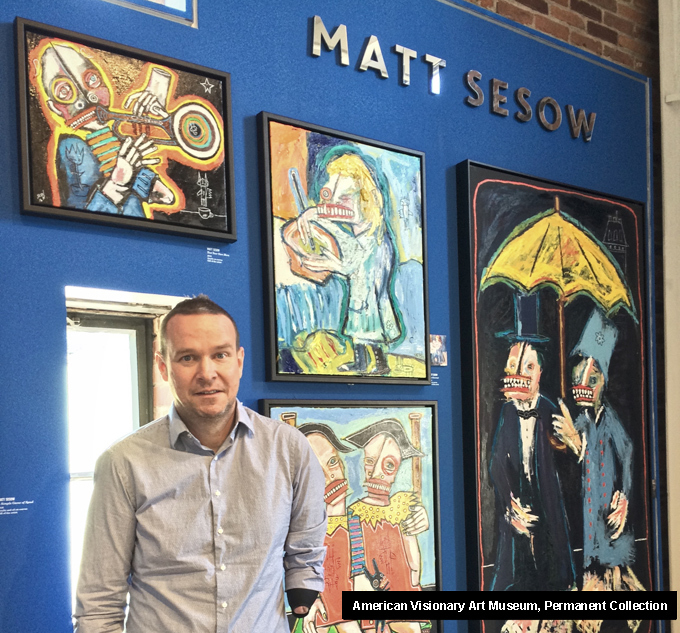 Hi, I am Matt Sesow... a painter from Washington, DC and I would like to thank you for visiting and considering becoming a supporter of mine here on Patreon. Your monthly contribution will help support and inspire me to create a wider variety of unique paintings while providing you with the chance to own personalized artwork. You can CANCEL ANYTIME, so please feel free to try one of the award-tiers for a limited time or as long as you wish. My business model since 1994 has been to create affordable museum-quality artwork that is affordable. I have exhibited in major galleries and museums around the world. I am independent (self-represented) and enjoy working one-on-one with the people that hang my art in their home and businesses. My paintings are included as part of the permanent collections in museums including the American Visionary Art Museum in Baltimore which has over 28 of my original paintings. My work has been displayed in local and international exhibitions and was recently featured by the United Nations on one of their postal stamps. 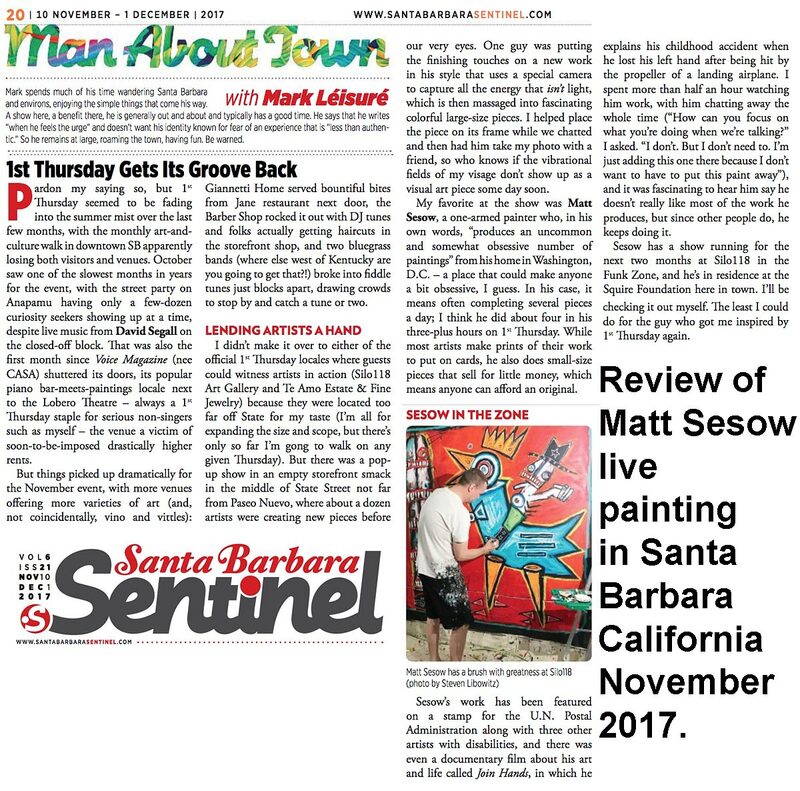 A documentary film about my life and art was released in 2016 entitled "Join Hands: The Life and Art of Matt Sesow". Special patron sales. I'll post 'patron only' deals on my paintings, for just $1 (or more) a month of your support! If you want to be a cherished supporter of mine, but not receive a monthly reward... Sign up for $4 a month and I WILL FEEL YOUR SUPPORT! HAPPY BIRTHDAY! : Once a year, as a special thanks from me, I'll send you an original birthday small painting the month of your birthday, with a happy birthday message to you. Please email or message me the month/day so I am sure to get your painting to you on the correct month. EVERY MONTH You receive in the mail an ORIGINAL SKETCH/DRAWING on a high-quality postcard featuring on the other side an image of one or more of my paintings. The postcard may be from an exhibition or from my personal stock of high-quality marketing postcards. Also, you'll get postcards from my many travels ( from the town/city where I exhibit, among other ventures outside of Washington, DC ).... Each will feature an original little drawing. 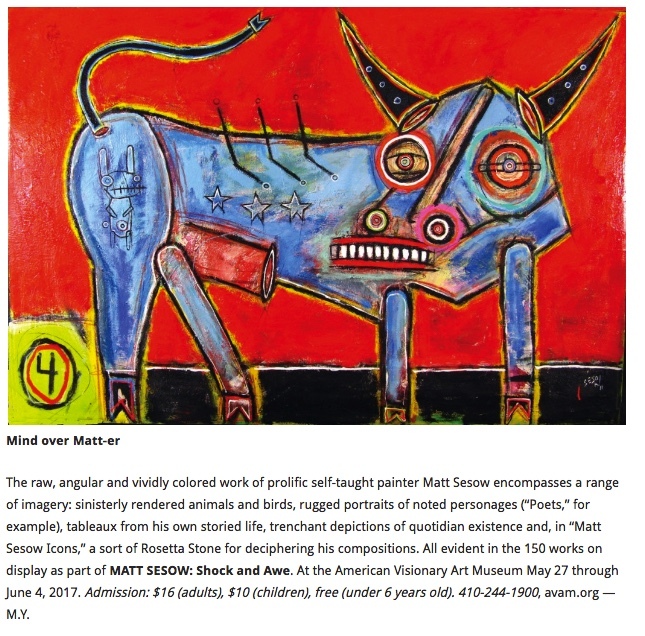 EVERY MONTH Get an 11"x17" glossy card stock print featuring a Matt Sesow painting. EVERY MONTH I'll send you an original 5"x7" or 4"x6" pen/ink drawing/painting of my choice. Most of these I do at a bar somewhere in Washington, DC, or wherever I may find myself. I'll try to include a bar napkin or beer coaster when possible.... as well as the location on the back of the drawing. Includes FREE shipping. EVERY MONTH I'll send you an original small painting (approx. 5"x7" but may be slightly larger or smaller) of my choice. The material used may include acrylic paint, watercolor, pencil, and oil paint. Typically on mat board or watercolor board.... Includes FREE shipping. EVERY MONTH I'll send you an original 8"x10" painting of my choice. The material used may include acrylic paint, watercolor, pencil, and oil paint on paper. Includes FREE shipping. EVERY MONTH I'll ask that you email/send me a picture(s), an idea, a sentence, a poem... ANYTHING YOU WANT! And I will create an original 11"x14" painting on quality archival paper based on your image/idea. On the back of the painting I'll include a personalized note to you. Includes FREE shipping. EVERY MONTH I'll ask that you email/send me a picture(s), or an idea and then my artist wife Dana Ellyn and I will create an original 11"x14" painting "loosely inspired by your idea" ... on quality archival paper. On the back of the painting I'll include a personalized note to you. 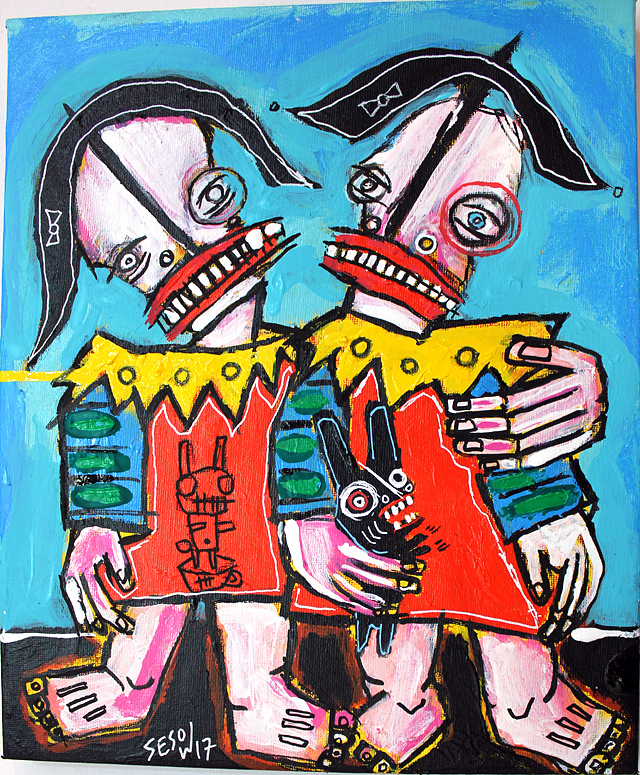 see more of the past "Defiled" paintings of Matt Sesow and Dana Ellyn at the website http://defiled.danaellyn.com . Includes FREE shipping. EVERY MONTH I'll send you an original 11"x14" original stretched canvas painting based an an idea sent to me by you via email (send requests to [email protected]). The material used may include acrylic paint, watercolor, mixed media, and oil paint on canvas. .... On the back of the painting I'll include a personalized note to you. Includes FREE shipping. EVERY MONTH I'll send you an original 30"x40" original un-stretched canvas painting based an an idea sent to me by you via email (send requests to [email protected]). The material used may include acrylic paint, watercolor, mixed media, and oil paint on canvas. .... On the back of the painting, of course, I'll include a personalized note to you. 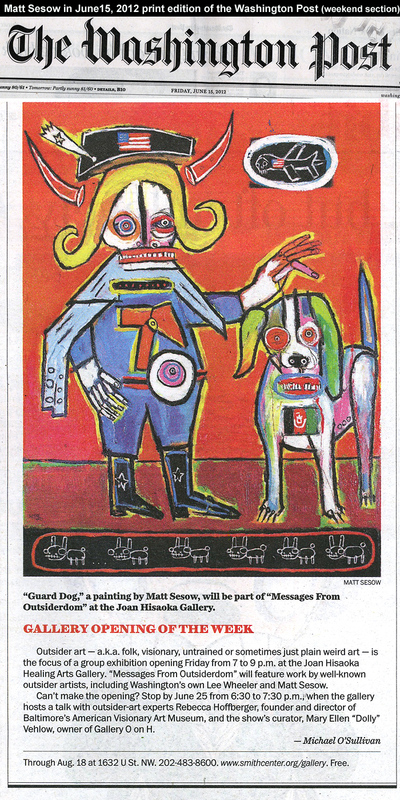 *** note: the painting will be on un-stretched canvas and will be shipped in a tube. It will have an addition 2" to 3" black border around it so you can stretch it or hang it as is... the size of canvas will be larger than 30"x40" with the black border.